During our visit we met with Muslim and Christian leaders, government officials, and other Iranian people. We believe it is possible for further dialogue and that there can be a new day in U.S.-Iranian relations. The Iranian government has already built a bridge toward the American people by inviting our delegation to come to Iran. 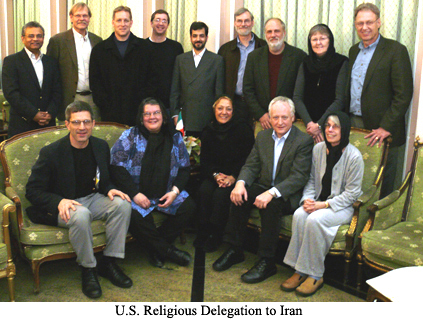 We ask the U.S. government to welcome a similar delegation of Iranian religious leaders to the United States. promote more people-to-people exchanges including religious leaders, members of Parliament/Congress, and civil society. 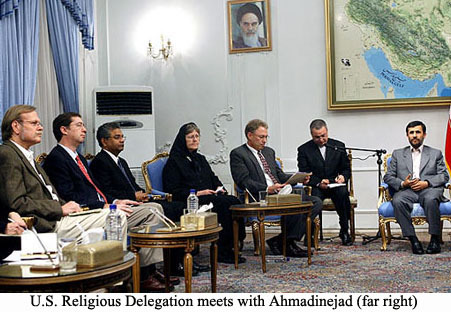 This statement by the National Council of Churches’ delegation to Iran was published by NCC News Service on 26 February 2007.